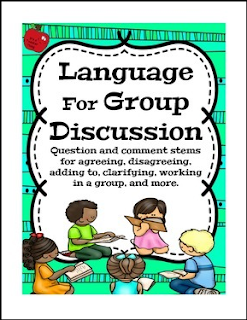 Question and Comment Stems for Discussion and Group Work is a freebie from It’s a Teacher Thing and addresses the Common Core State Standards. Help your students build confidence and feel more comfortable during group work, partner work, and literature circles with this simple poster filled with seven categories of question and comment stems. Your students might want to keep a copy in their binder to review and set out during discussion sessions.